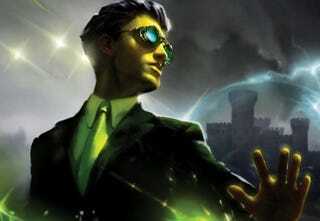 For years, people have been saying Eoin Colfer's Artemis Fowl books would make a great movie — and now it's happening, and some heavy hitters are involved. Harvey Weinstein and Robert DeNiro are producing the Artemis Fowl movie at Disney, with a Harry Potter scriptwriter on board. The live-action feature will be based on the first and second installments in Disney Publishing Worldwide’s best-selling children’s fiction series by author Eoin Colfer. The screenplay is being written by Michael Goldenberg (Harry Potter and the Order of the Phoenix). Robert DeNiro and Jane Rosenthal will executive produce the project.